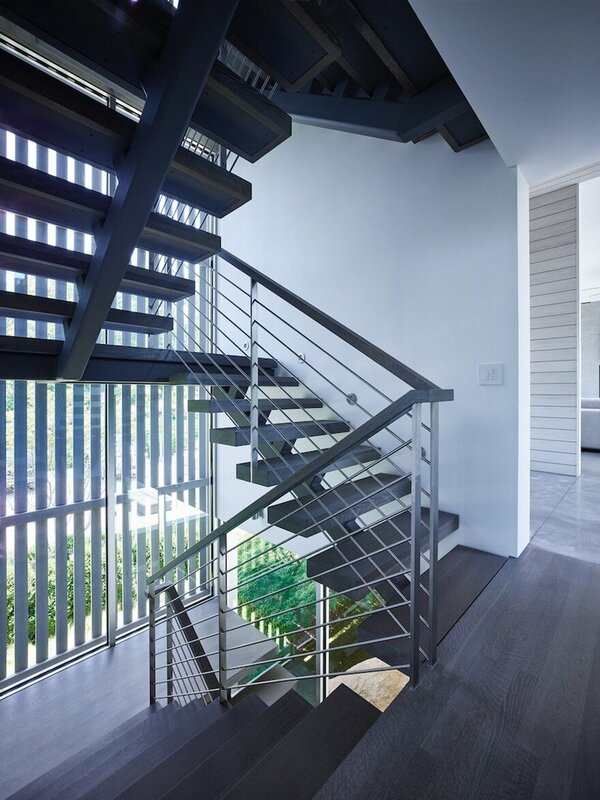 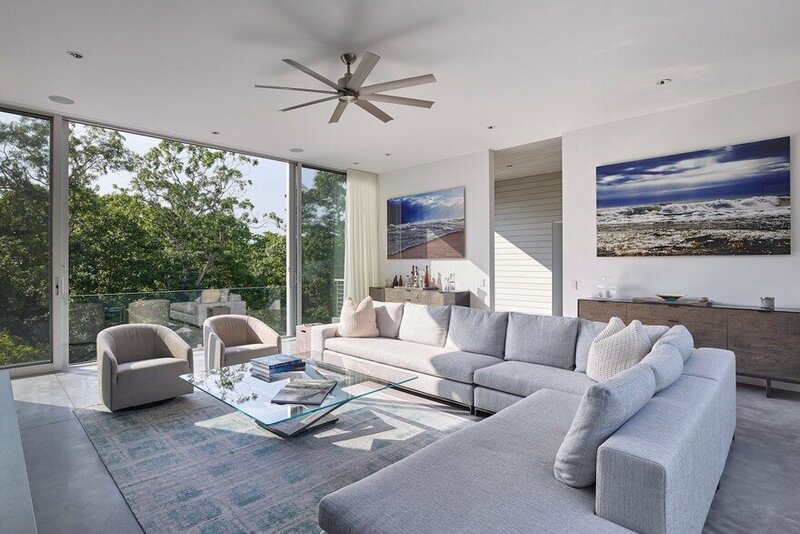 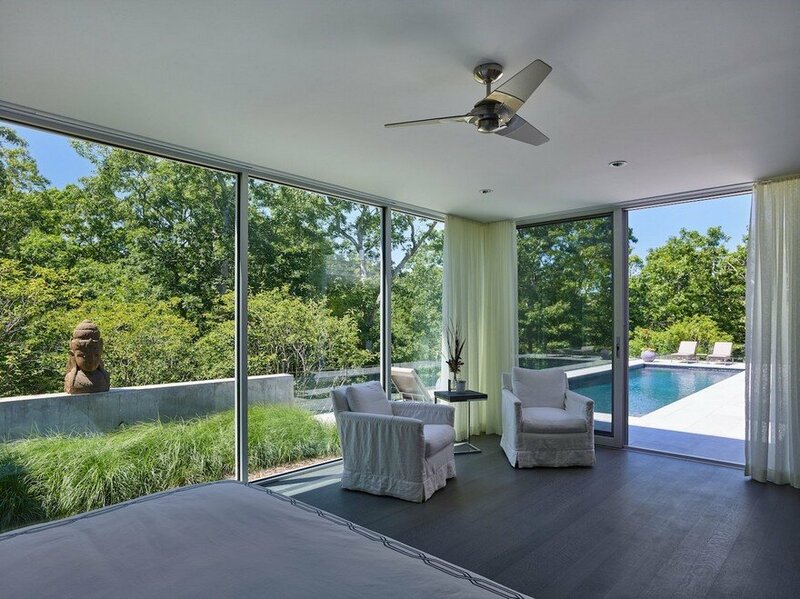 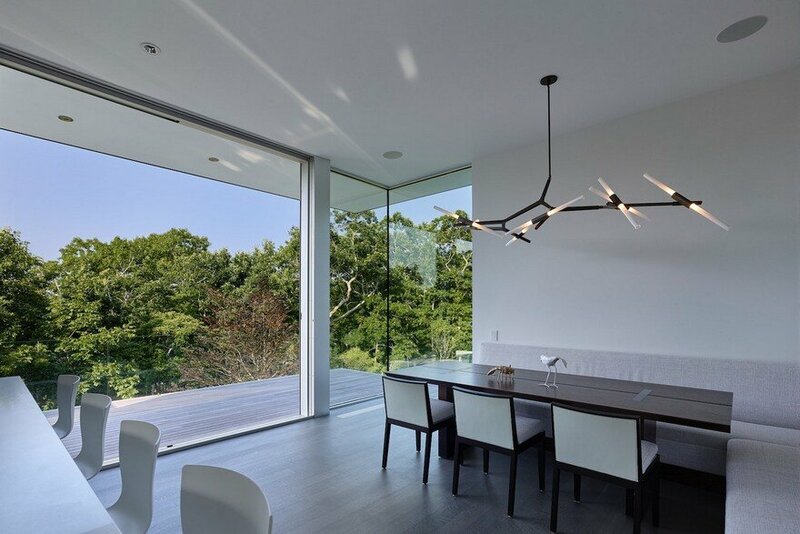 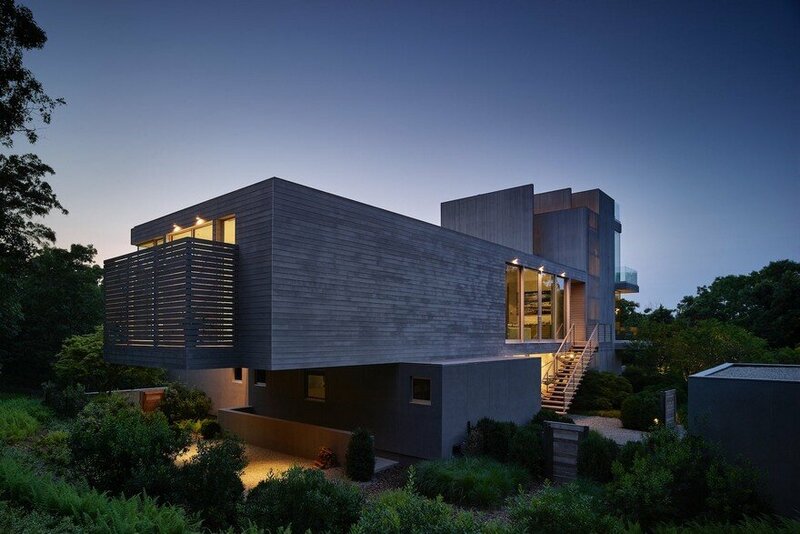 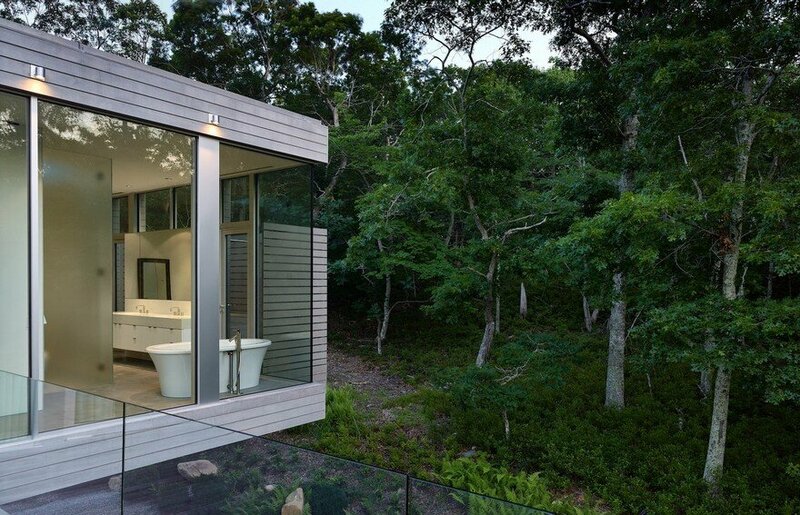 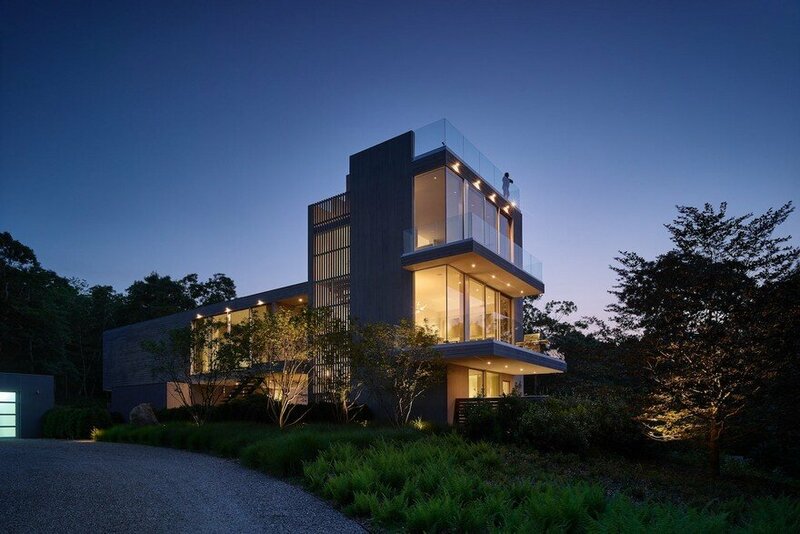 From the architect: An existing three story house perched in the trees of Amagansett was in dire need of repair. 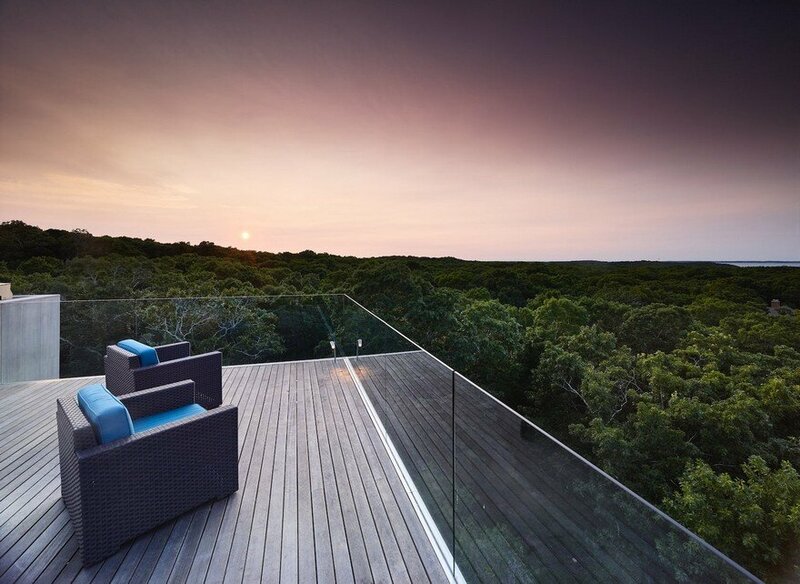 Breathtaking views from the roof deck made the decision to renovate rather than replace the structure an easy decision. 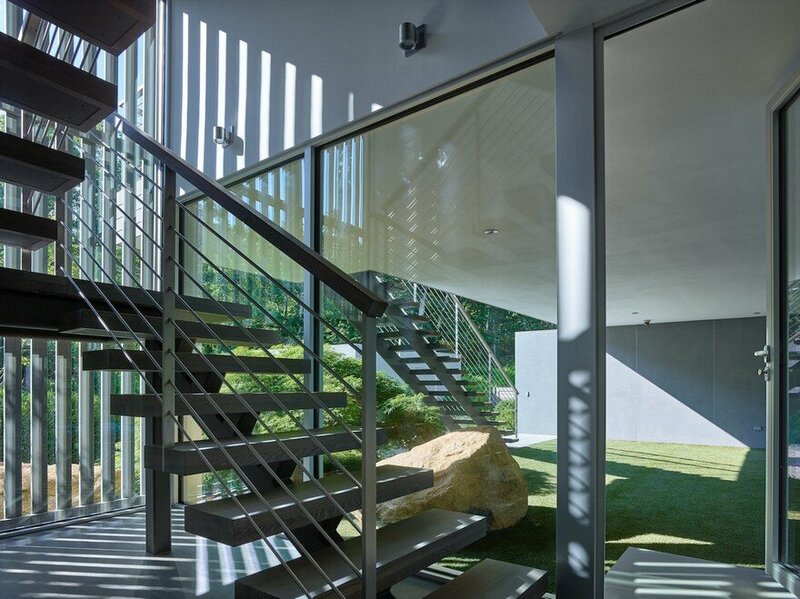 An elevation horizontal addition is separated from the tower by the second story entrance, allowing each part to maintain it’s own identity. 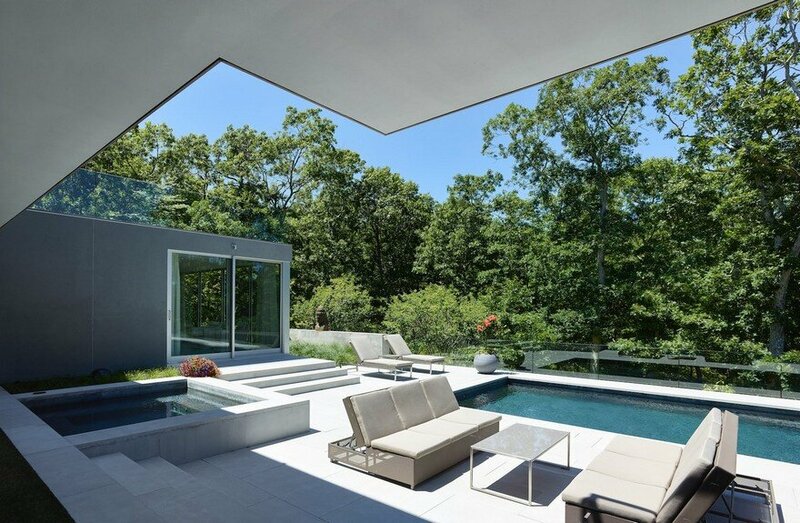 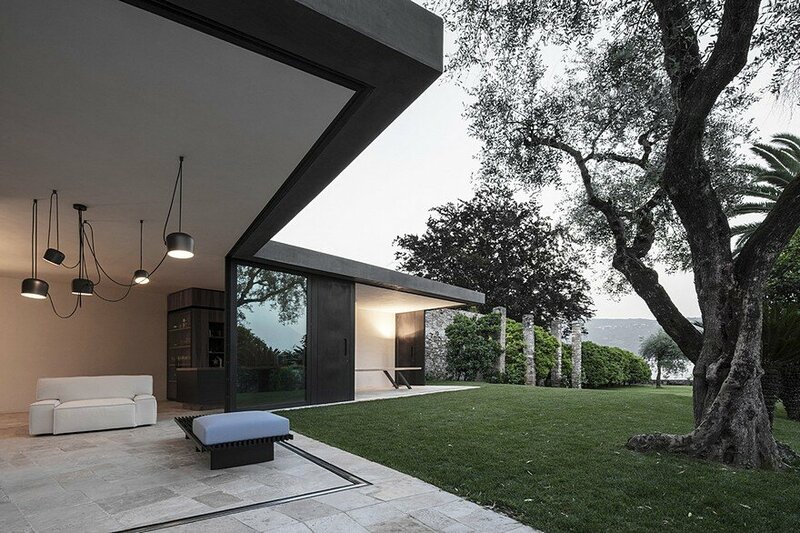 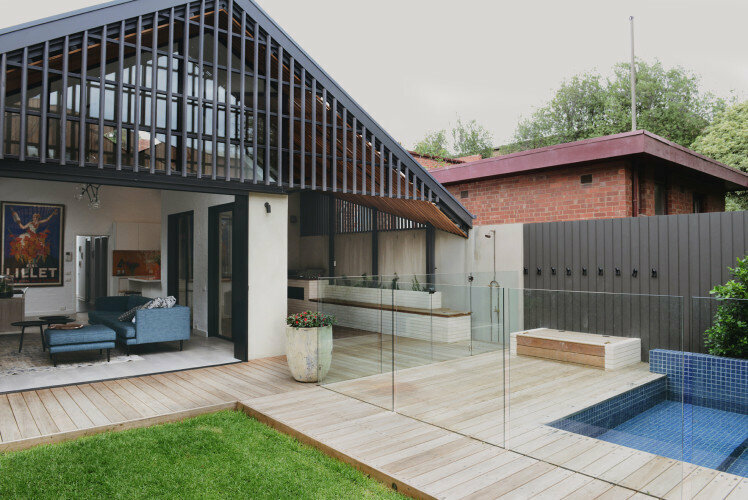 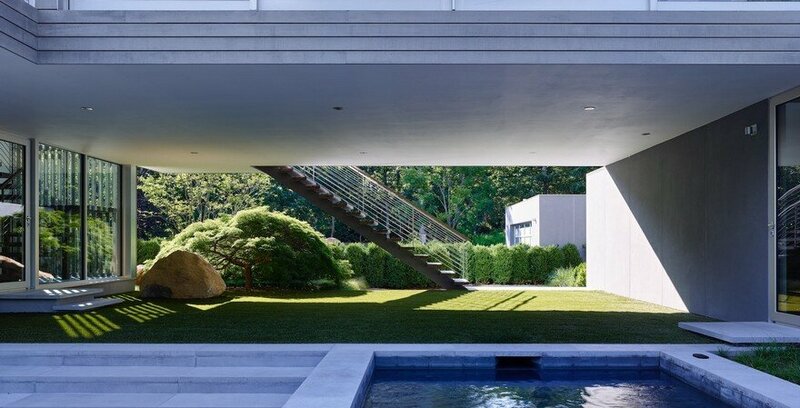 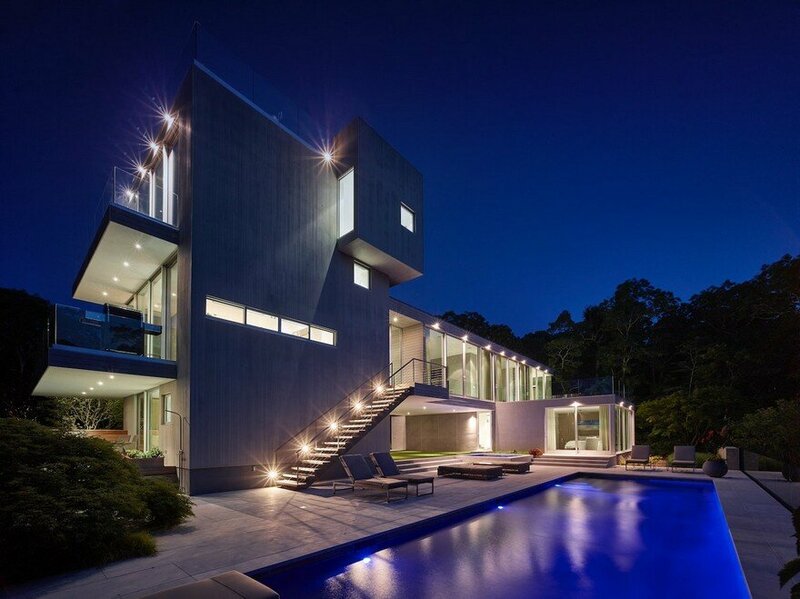 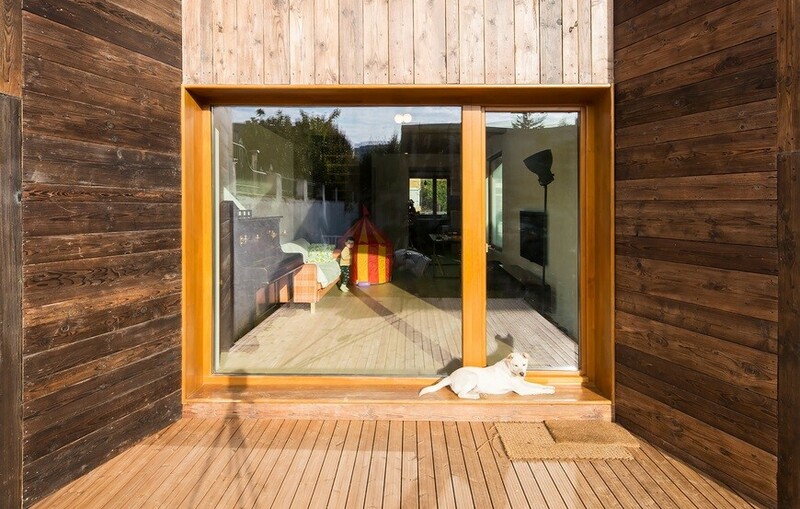 The space under the addition becomes the gateway to the pool and forest beyond.